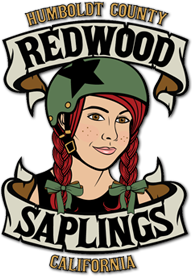 Humboldt Roller Derby is proud to represent the Redwood Saplings Junior Derby Program! 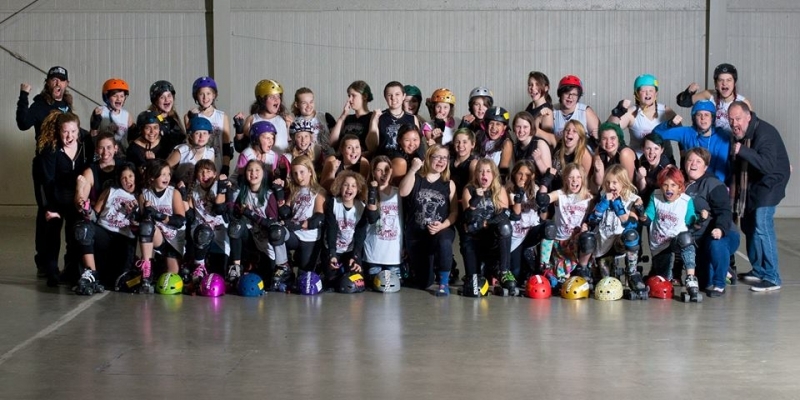 The Junior Derby Program is open to youths ages 9-17. Anyone with the desire to learn the skills is welcome to participate! Now in its sixth season, the Saplings Program is committed to engaging young people from throughout Humboldt County in the game of roller derby! Our mission is to foster trust and communication between players while developing athletic ability, derby knowledge, strategy and sportsmanship in a fun, safe environment. HRD’s Junior Derby program has three levels. Level 1 focuses on building skate skills. Level 2 focuses on derby skills. Skaters who pass skill assessments are then eligible for Level 3, the Redwood Saplings competitive derby program! Email saplings@humboldtrollerderby.com or check out our How to Join page for more information!